Unless you learn to fully embrace Object-Oriented Programming, you will be well and truly lost. In football, you can play from a safe defense, you can play with high balls from the sides or you can attack like there is no tomorrow. All of these strategies have the same objective: To win the game. The same is true for programming paradigms. There are different ways to approach a problem and design a solution. From the OOP perspective, an application is a collection of “objects” that communicate with each other. We base these objects on things in the real world, like products in inventory or employee records. Objects contain data and perform some logic based on their data. As a result, OOP code is very easy to understand. What is not so easy is deciding how to break an application into these small objects in the first place. If you are like me when I heard it the first time, you have no clue what this actually means — it all sounds very abstract. Feeling that way is absolutely fine. It’s more important that you’ve heard the idea, remember it, and try to apply OOP in your code. Over time, you will gain experience and align more of your code with this theoretical concept. 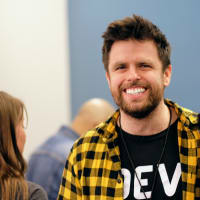 Lesson: OOP based on real-world objects lets anyone read your code and understand what’s going on. The OOP perspective makes writing better code easier because we think of objects as we would encounter them in the real world. 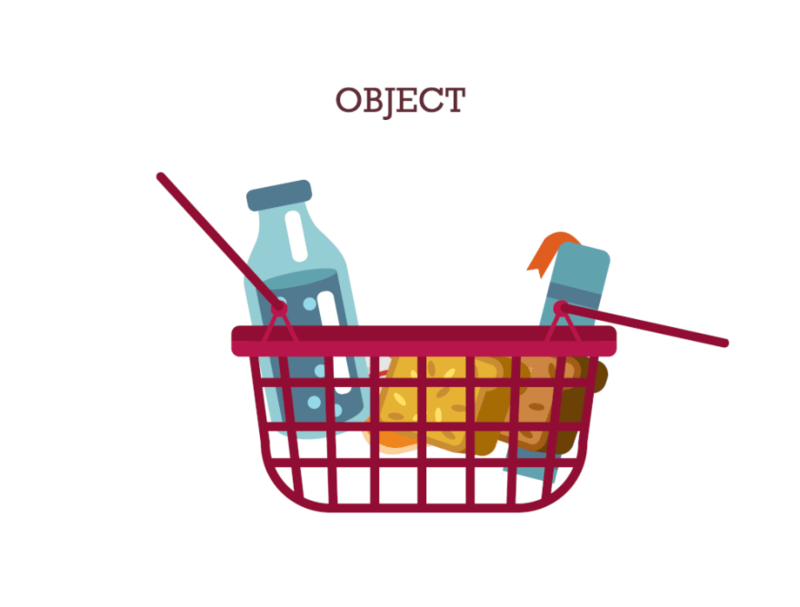 As our use case contains a basket of products, we already have two kinds of objects — the basket object and the product objects. As you can see in the first line, we create a new object by using the keyword new followed by the name of what’s called a class (described below). This returns an object that we store to the variable bread. We repeat that for the variable water and take a similar path to create a variable basket. After you have added these products to your basket, you finally print out the total amount you have to pay. The difference between the two code snippets is obvious. The OOP version almost reads like real English sentences and you can easily tell what’s going on. Lesson: An object modeled on real-world things consists of data and functions. We use classes in OOP as templates for creating objects. An object is an “instance of a class” and “instantiation” is the creation of an object based on a class. The code is defined in the class but can’t execute unless it is in a live object. You can look at classes like the blueprints for a car. They define the car’s properties like torque and horsepower, internal functions such as air-to-fuel ratios and publicly accessible methods like the ignition. It is only when a factory instantiates the car, however, that you can turn the key and drive. The code inside the function is the constructor and is executed each time an object is instantiated. Product has the parameters _name and _price. Each new object stores these values inside of it. Furthermore, we can define functions that the object will provide. We define these function by prepeding the this keyword which makes them accessible from the outside (see Encapsulation). Notice that the functions have full access to the properties. Class Basket doesn’t require any arguments to create a new object. Instantiating a new Basket object simply generates an empty list of products that the program can fill afterwards. Lesson: A class is a template for generating objects during runtime. Mind the assignment of the properties to the variable this. At first sight, it seems to be a better version because it doesn't require the getter (getName & getPrice) methods anymore and is therefore shorter. This is something you don't want as it makes the application more difficult to maintain. What would happen if you added validation code to prevent, for example, prices less than zero? Any code that accesses the price property directly would bypass the validation. This could introduce errors that would be difficult to trace. Code that uses the object’s getter methods, on the other hand, are guaranteed to go through the object’s price validation. Objects should have exclusive control over their data. In other words, the objects “encapsulate” their data and prevent other objects from accessing the data directly. The only way to access the data is indirectly via the functions written into the objects. Data and processing (aka. logic) belong together. This is especially true when it comes to larger applications where it is very important that processing data is restricted to specifically-defined places. 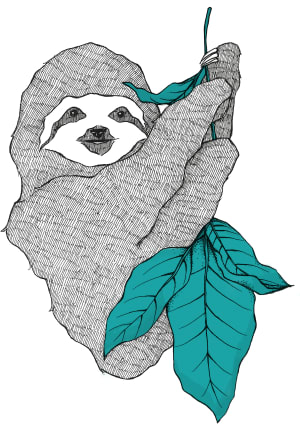 Done right, the result OOP produces modularity by design, the holy grail in software development. It keeps away the feared spaghetti-code where everything is tightly coupled and you don’t know what happens when you change a small piece of code. In our case, objects of class Product don’t let you change the price or the name after their initialisation. The instances of Product are read-only. Lesson: Encapsulation prevents access to data except through the object’s functions. Inheritance lets you create a new class by extending an existing class with additional properties and functions. The new class “inherits” all of the features of its parent, avoiding the creation of new code from scratch. Furthermore, any changes made to the parent class will automatically be available to the child class, making updates much easier. Note the additional Product.call along the this as first argument. Please be aware: Although book provides the getter methods, it still doesn’t have direct access to the properties name and price. Book must call that data from the Product class. Basket expects an object of type Product and, since book inherits from Product through Book, it is also a Product. Lesson: Subclasses can inherit properties and functions from superclasses while adding properties and functions of their own. 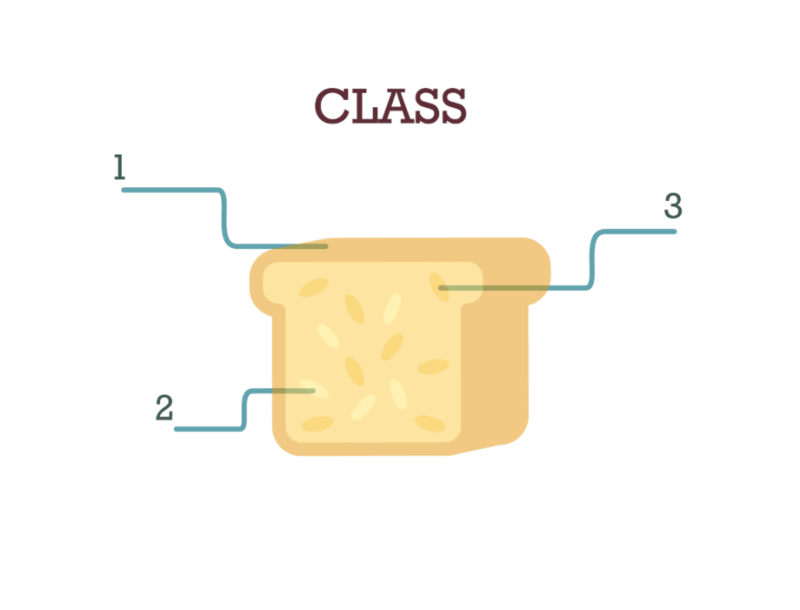 The prototype-based approach is shown below and is seen as the "classical and default way" to construct classes. Unfortunately it does not support encapsulation. Objects modeled on real-world things are the centerpiece of any OOP-based application. 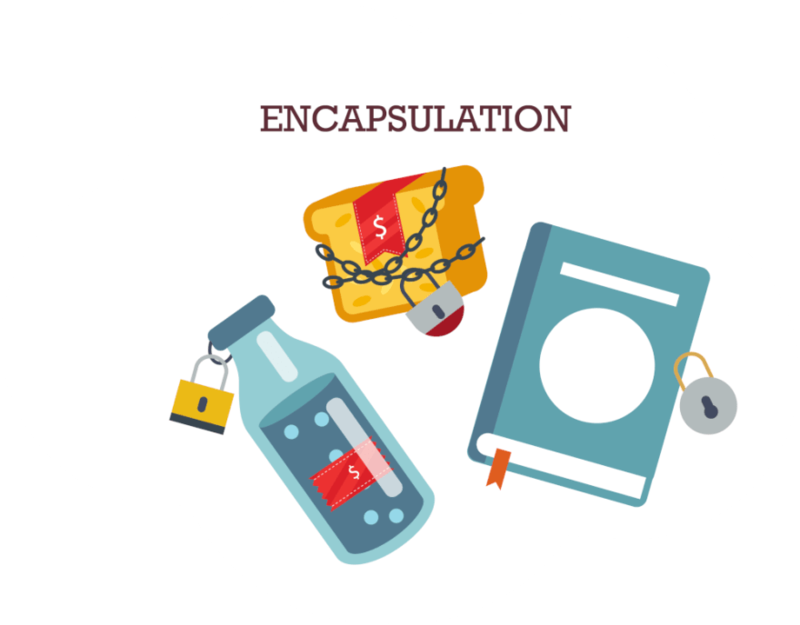 Encapsulation protects data from uncontrolled access. Objects have functions that operate on the data the objects contain. Classes are the templates used to instantiate objects. 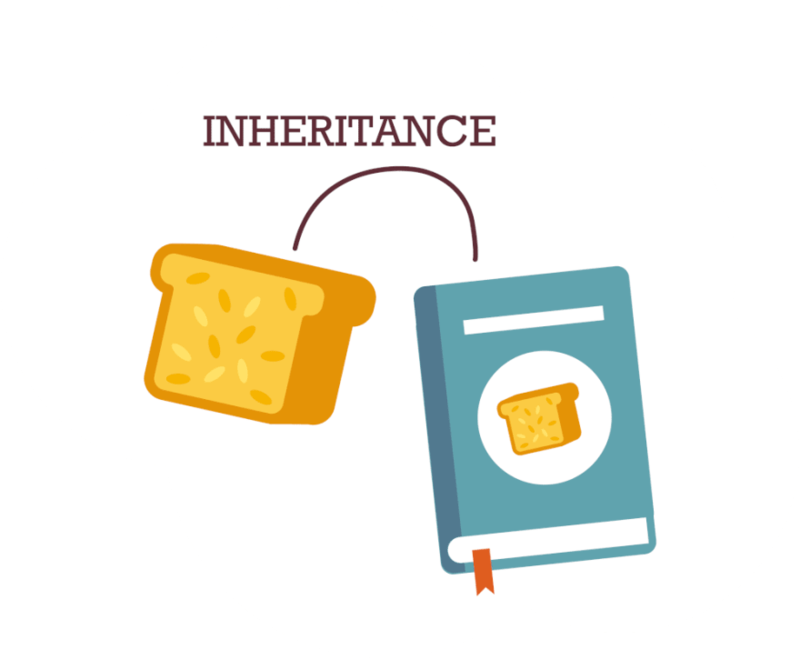 Inheritance is a powerful tool for avoiding redundancy. OOP is more verbose but easier to read than other coding paradigms. 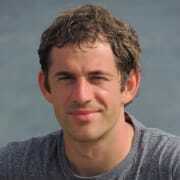 Hi Patrick, I've tried out FP with Clojure in larger applications. It turned out that with growing application size it was getting more and more harder to maintain it. Quite possible, that we weren't simply not able to apply FP property, but in my experience OOP beats it at a certain application size. You will still run into situations where you are better served without classes and you can reach for FP in those scenarios. Anytime I find myself needing to make a class with only static methods for example, I end up just writing a module composed of simple FP-style functions. Anything that requires state I use classes and OOP for. And even within OOP, you can take the knowledge of FP and try to limit the data you mutate. I'm all for Typescript, especially at scale for the typings, but that has nothing to do with using OOP. The beauty of Typescript is that it's completely opt-in. You can use as much of it, or as little, as you like, depending on what suits your conventions and preferences. Typical FP concepts such as mapping, reducing, currying etc., are all greatly improved by statically defining the types of parameters and return values, for example. Hi Alexandr, thanks for mentioning but I did this on purpose to enforce encapsulation. So I don't want that anybody can access the author property except the object itself. I am using this in prototype-based version at the end of this article and mentioned the problem with encapsulation. True, have added a getter method. Thanks for the input to both of you!